We had a great weekend!! The boys went with my parents to the cabin and had a GREAT time!!! J rode his bike almost 23 miles!!! Wow!!! You go kiddo!!! Saturday Makenzie and I went to a really good friend's house and spent the day!! It was great!!! She had some of her relatives from out of town there. I don't quite know how to explain what her Aunt and Uncle do exactly, but it was about the energy that surrounds us and how it affects our lives!! (yes that energy being God.. no worries.. I haven't jumped off the deep end!) We talked a lot about how stinking thinking really brings us down and that although both of our daughters have a brain injuries we have SOOOOO much to be thankful for! I know that! Really I do but there is still so much stress! New out look on life day!!! GREAT stuff!!! Very Refreshing!! Thank You S!! Sunday was the normal church, SAM's Club and lunch! It was nice to get to have a quiet lunch out with my husband! Thanks mom!!! Today.... well today it did.... NOTHING!!! Yes you heard me right!!! Ok well I did all of the many thing it takes to keep Makenzie happy and healthy but other then that we just relaxed!!! I can not even tell you the last time I had the chance to do that!!! It felt good and I am sure that it won't happen again anytime soon but it was much needed!!! 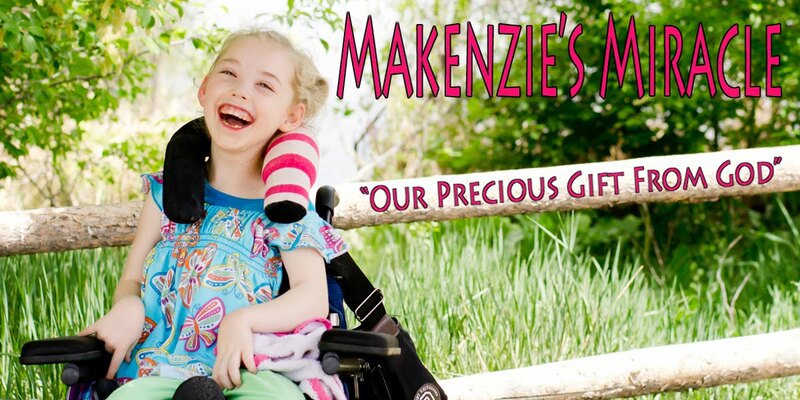 As for Makenzie... She is doing GREAT!! We did a lot of massage today and some walking!! She is also doing great with sitting!! She sat with a bit of help from me for almost 10 min!!! Yes.. I had to help her balance a bit but never with more then one finger! She held her head up only dropping it a few times and NEVER folded up!! WOW!! That is HUGE!!! Her greatest motivation is watching..... herself!!! So I put the computer in front of her and played her newest slide show and she sat through it twice!! Well I think I am going to end this lazy day by going to bed early!! Thank You all for the prayers and support!!! We are now less then 2 months away from Costa Rica!!! Thank You ALL so much for the support with that!! We inch closer and closer everyday to our goal and are AMAZED by all of your generosity!!! THANK YOU!!!! God Bless you all!! I hope this Memorial day was a good one!!! Thank you to each and every man and woman that has sacrificed to give us all of the freedoms we take for granted!! !